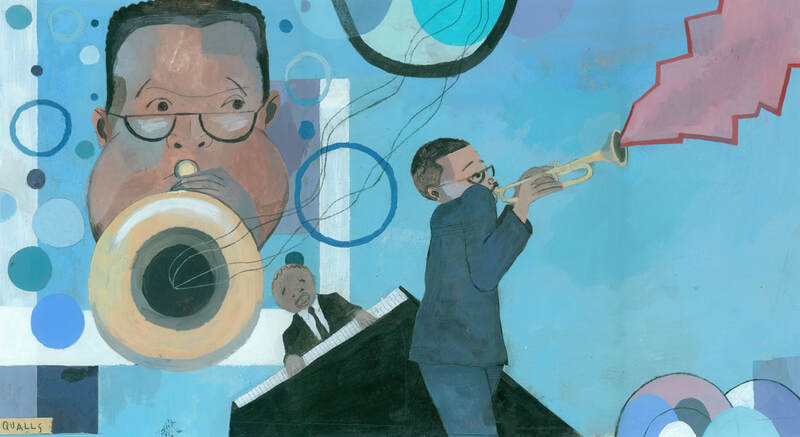 From the author of FRIDA comes a jangly, jumpy, bebopping book about Dizzy Gillespie, the clown prince of jazz. 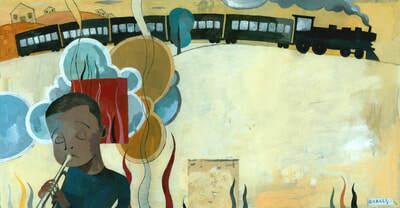 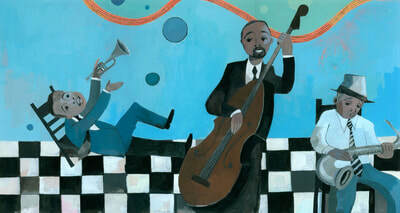 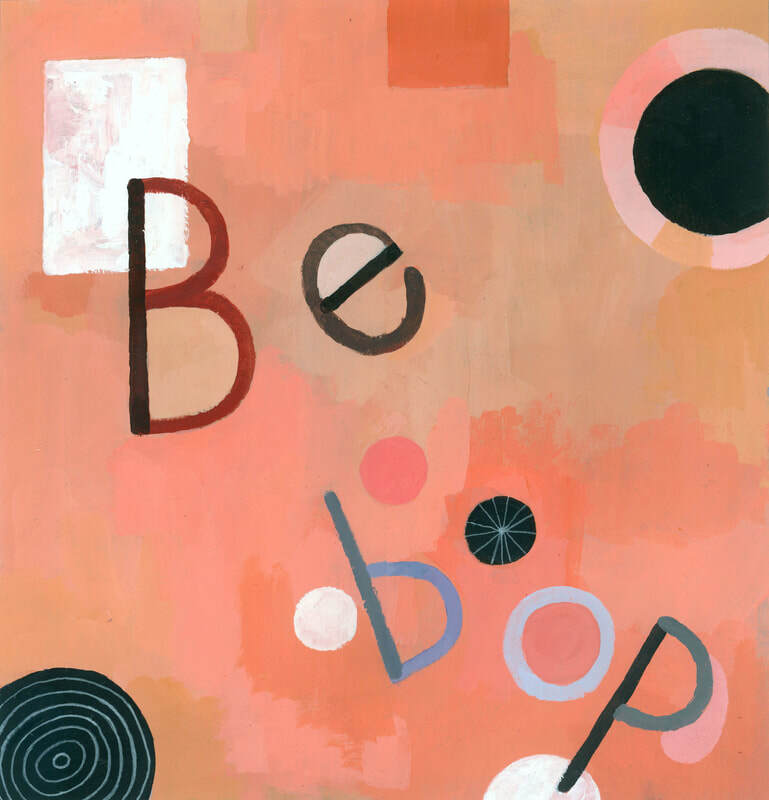 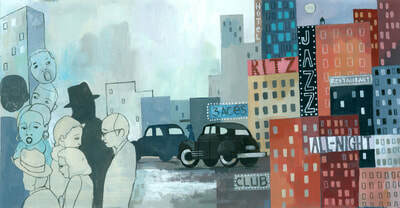 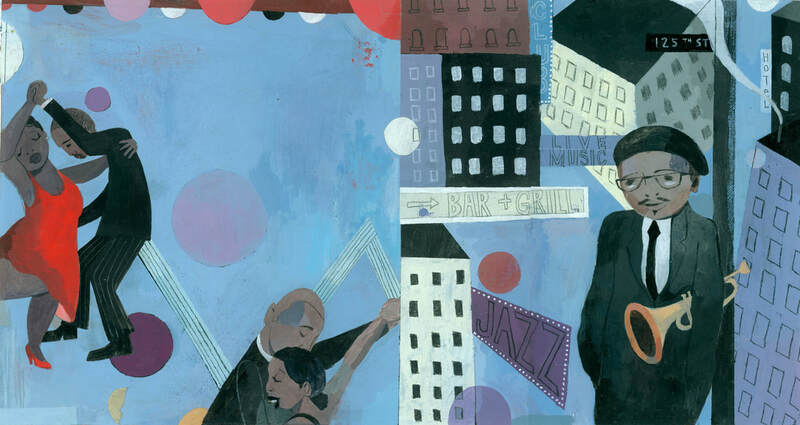 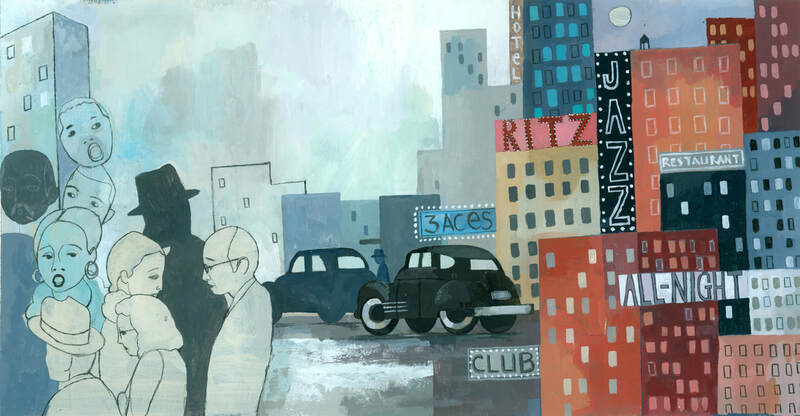 "Qualls's acrylic, collage, and pencil illustrations swing across the large pages with unique, jazzy rhythms, varying type sizes and colors, and playful perspectives, perfectly complementing the text." 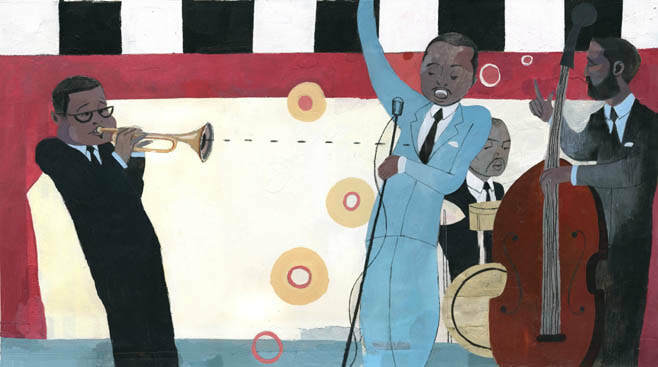 "Qualls's acrylic-and-collage images employ a muted palette of pinks and blues and beiges, and compositions vary from scenes of daily life to poster-like montages, effectively establishing Gillespie as larger than life." 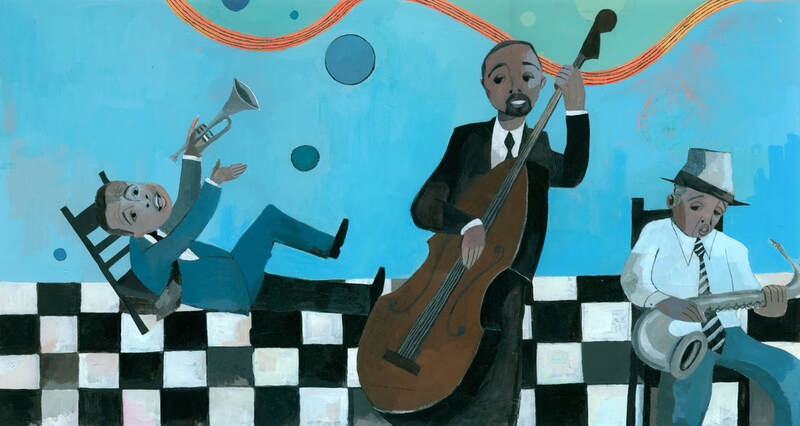 "....Qualls is able to translate the story (and the music) into shapes and colors that undulate and stream across the pages with a beat and bounce of their own."